The costumers have no transparency how the cash money flows. 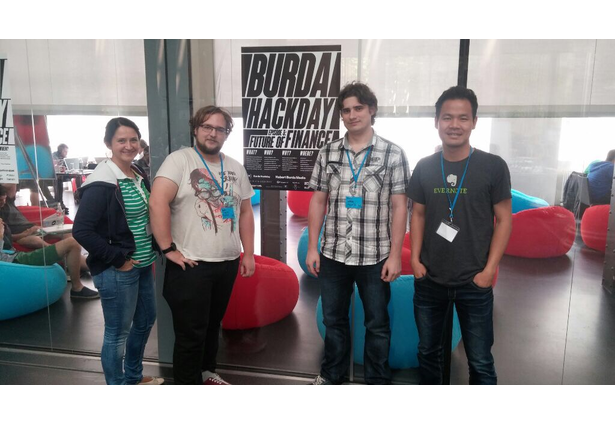 To do the documentation, there are many good intentions, but no discipline. The users need help – The FinanceCoach create an incomparable data transparency with the help of geo tracking that leads to a higher level of self-awarness and a better Cash-Management. 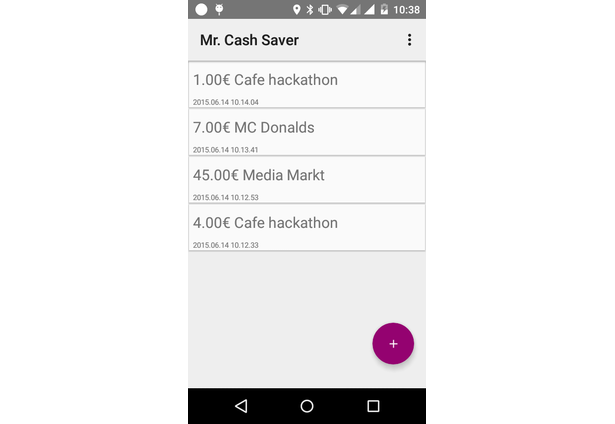 Mr Cash Saver is an prototype Android app. In the future it could also be ported for iOS, Windows Phone and Blackberry. Motivating people for tracking their hard earned money by reminding them via geo location to add their expenses. 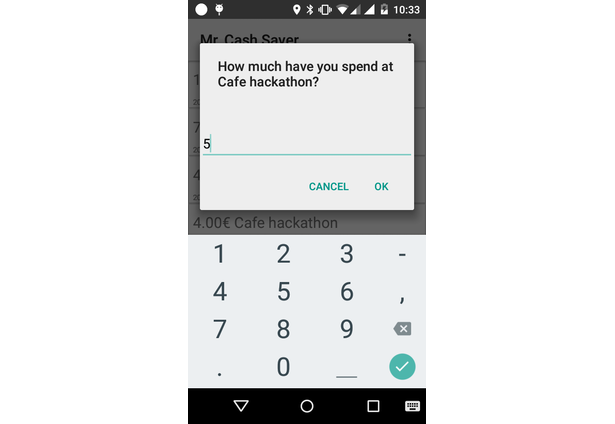 Its like quantified self for your wallet. Everyone that what to optimize there expenditure. Improving your expenditure for never asking yourself why your wallet is empty. Connecting it with your bank account so you also have your digital expenditure in your app. Analytics of your data. A coach that motivates you using gamification elements to optimize your expenditure. Comments for this submission are closed. View the software in floatec's portfolio to continue the conversation.